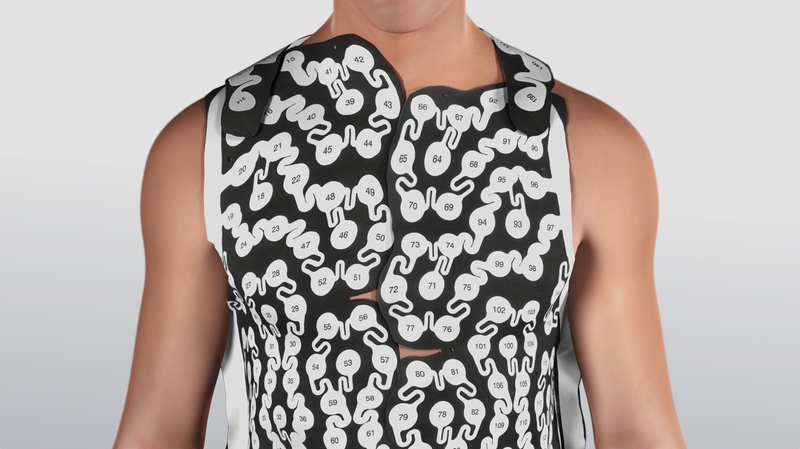 Designed for people affected by heart rhythm disorders, a wearable tech vest could be set to introduce a new non-invasive method of cardiac mapping. Medtronic's CardioInsight recently received approval from the FDA, potentially paving the way for a change in how certain heart conditions are treated. "It's like taking an EKG from 250 different places around the chest. Once you've done that, you take a CT scan. Now you know where the heart is in space in relationship to the electrodes and the computer does the magic of putting it all together," said David Steinhaus, medical director of Medtronic's Cardiac Rhythm and Heart Failure division. While cardiac mapping has been around for some time — helping electrophysiologists to access the heart and target aberrant cells without damaging otherwise healthy tissue — the vest allows this process to take place without intrusion. Usually, cardiac ablations can eliminate problem cells forming irregular heartbeats through heat or cold. What the vest does is provide a 3D map to locate the cells through the help of 250 electrodes. "With the current technology, we need vascular access by a vein or artery to get to the heart, and the inside of the heart, and touch the heart tissue to make these maps from the inside. The CardioInsight system hopes to do that non-invasively," said Jonathan Hsu, cardiac electrophysiologist and assistant clinical professor at UC San Diego. It's not just a viable alternative to catheterised procedure, either, as the vest may also give electrophysiologists additional insight into a patient's disorder. A simple rhythm evaluation may show a patient does not need an ablation or that such a procedure might not help their condition. "You must have the arrhythmia at the time you're mapping," said Steinhaus. "If a patient has a transient arrhythmia, you won't see it because you only get a small period of time in the (electrophysiology) lab. A patient could put the vest on in the morning and keep it on the whole day." Steinhaus also noted that the device will be competitively priced with other systems, and has been tested on around 600 patients. Only time will tell if the tech is cleared and embraced within the wider health community, but its non-invasive method would appear to make it a promising alternative to current procedures.